This is one of Nagano’s best producers. 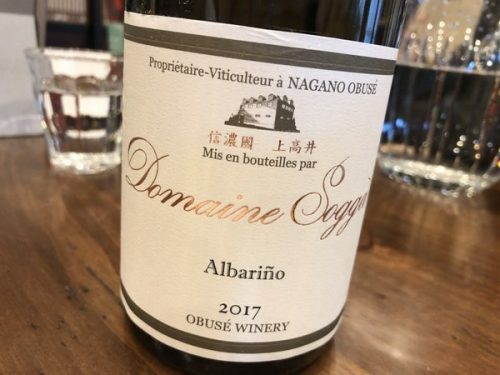 Domaine Sogga, also known as Obusé Winery, is based in Obusé and is run by Akihiko Soga (just the one ‘g’ in his name, but two in the domaine’s). Akihiko is clearly talented, and also nicely quirky. 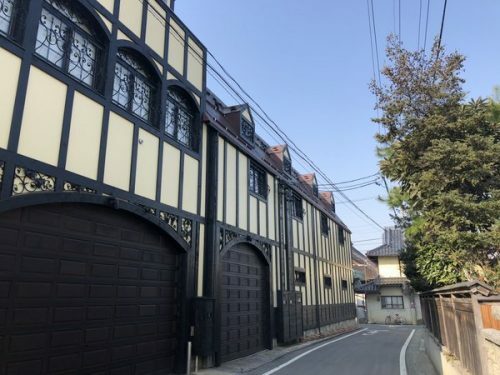 The winery is an old Japanese sake brewery that was founded in 1842. His father become interested in making cider: this area is famous for its apples. But it was his grandfather who had leanings towards wine. 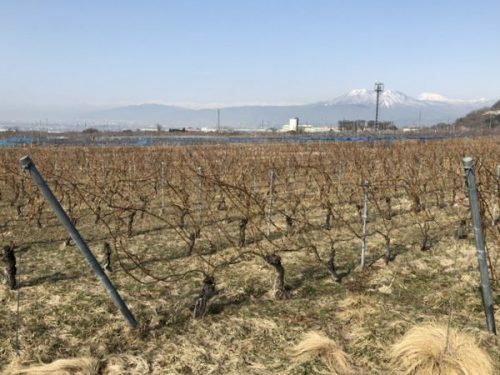 In the 1970s he planted vineyards with table grapes, and then later on, in 1996, he planted some Merlot in Takayima village. 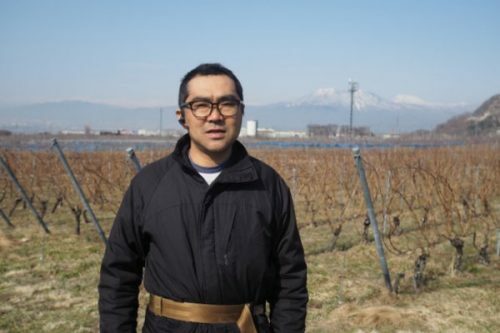 Akihiko wanted to make wine, and graduated in enology and viticulture from the University of Yamanashi. He then went abroad and did a stage at Long Depaquit before returning to Japan in 1988. 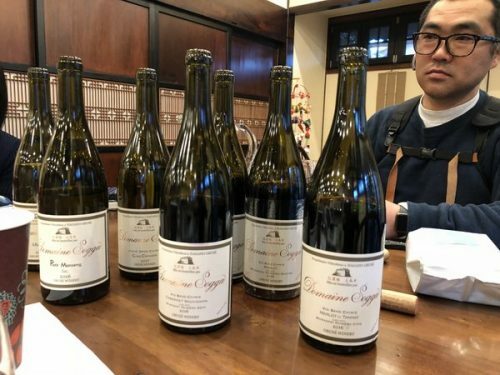 Since 2006 he’s been working with organics, and now there are 4 hectares certified organic out of the domaine’s 8 hectares. 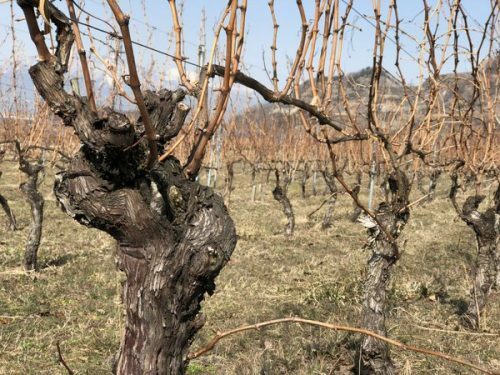 Worried about the effects of climate change, Akihiko initially planted lots of different varieties such as sangiovese, petit manseng, kerner, tannat and barbera. Since then he’s given up a few of these and is more focused. He thinks that blends may be the way to go in the future – he doesn’t like adding sugar or acid, and this would be the natural solution, using the different varieties to balance each other out. All the whites are whole-bunch pressed. These are very clean, well made wines with good density of flavour. The duplicate note are where I tried the wine on separate occasions on the trip. Wow 25 brix and 14 TA. Didn’t realise that was even possible! 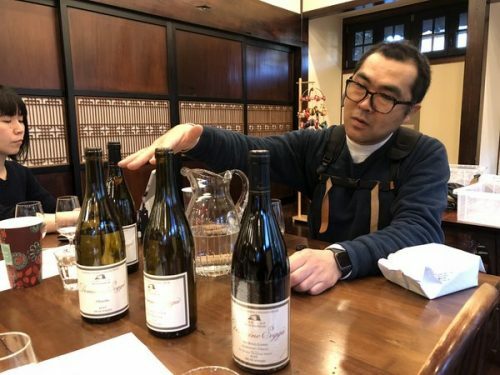 Nice to know you and thanks for sharing about Obuse Winery. I am bringing in Soga-san’s wine and more Japanese wine to Hong Kong. Will be great if we can meet up in the future and share a bottle! I saw you wrote about the below wines twice, may I know they were supposed to be different vintages? And just wondering if you had a chance to taste their Domaine Sogga Merlot from Murasaki Numero Un (1st)?